Anyone meeting a young child with autism for the first time will find this fully revised edition of a classic text invaluable. The authors provide parents and professionals with an insight into the nature and educational implications of autism, particularly in very young children. In a clear and sensitive style the authors: •Outline the characteristics of autism as they present themselves in the early years; •Consider the nature of autism and the issues surrounding assessment and diagnosis; offer practical strategies for effective and realistic intervention both at home and in a variety of early years settings; •Suggest ways to promote learning, social development, communication and appropriate behaviour; •Explore possibilities for enhancing access to the early years curriculum. This updated second edition includes new material relating to new statutory requirements such as Every Child Matters and Disability Equality Duty, as well as updates to different approaches to autism, assessment and behavioral issues. The authors outline the principal themes and objectives of the Early Years Foundation Stage and the Inclusion Development Program. 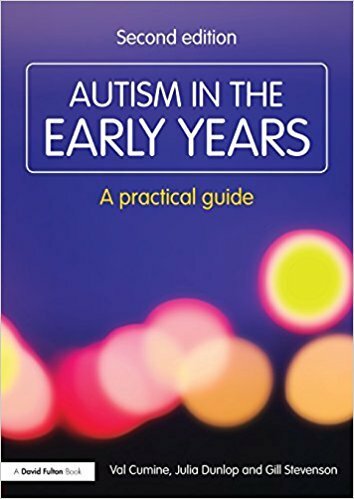 Autism in the Early Years: A Practical Guide (Second Edition) provides accessible material, support and advice for parents, teachers and professionals who are working together in an unfamiliar area following early diagnoses of autism in young children.